This is the Pantene ad that’s been highly popular yet equally controversial. Philippine advertising personalities have criticized it for its lack of depth in developing their own concept that’s been painfully derived from the Glee Project, yet with no acknowledgment whatsoever. But how can I comment on an issue that is merely symptomatic of a greater malaise of plagiarism redefined in better terms to make it legal and, hence, excusable? 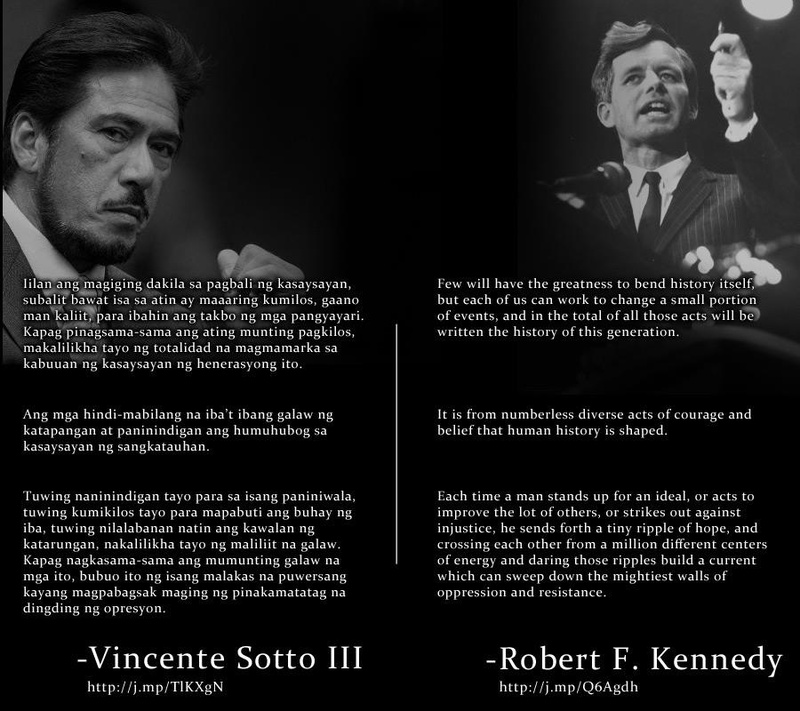 At the height of Sen. Sotto’s hubris, he defends himself on the senate floor and added salt to the wounded dignity of a nation by proclaiming yet again another stolen speech. 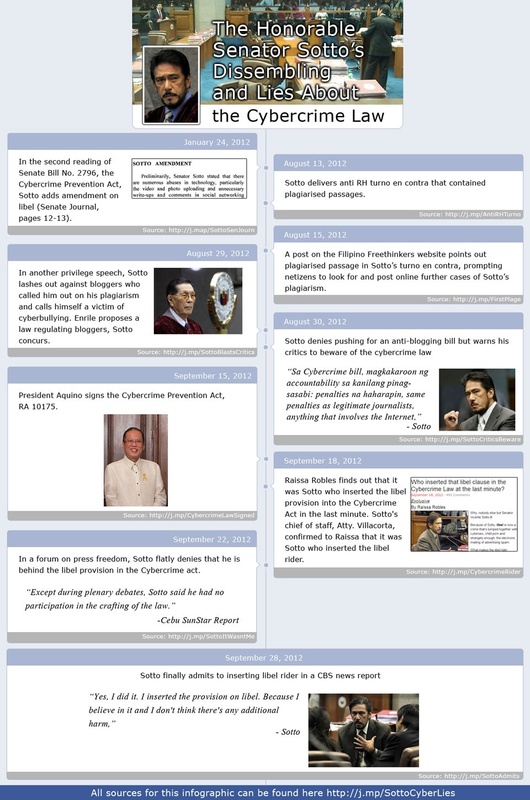 Despite being caught, he uses his position to enact the anti-cybercrime law to stifle his critics. 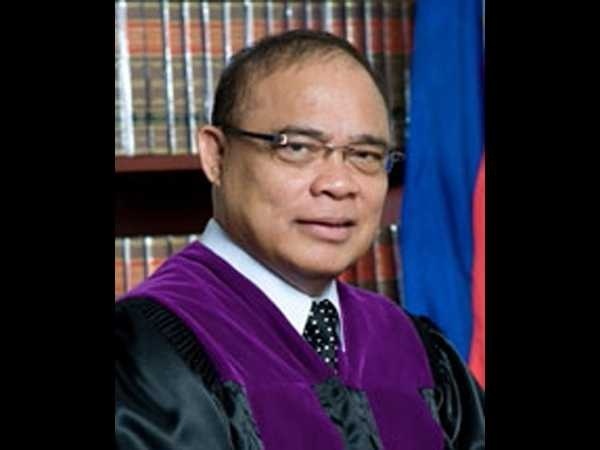 Yet a few months ago, no less than Supreme Court Associate Justice Mariano del Castillo was caught plagiarizing the work of a foreign judge and misrepresenting its essence in rendering his decision against the 70 comfort women seeking apology and redress from the Japanese government for sexual abuses they suffered during World War II. But they are amateurs compared to the plagiarism of Mark Joseph Solis who stole several photographs and passed it off as his own and was awarded for it. Devoid of any real regret, it was later discovered that this was not the first time that Solis had done so. 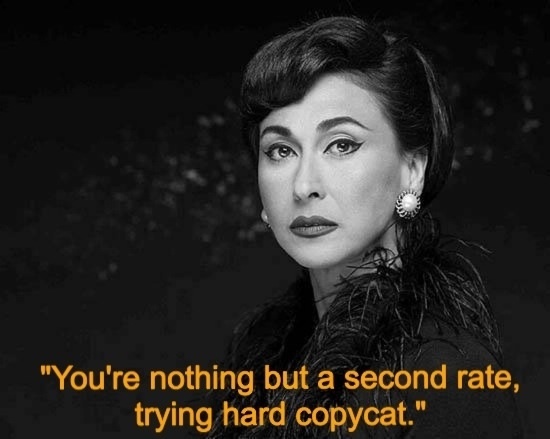 So one cannot truly speak of the alleged plagiarism of BBDO-Guerrero’s execution (or lack thereof) of the Pantene ad. If any, it merely reflected the current state of the society in finding a quick buck to instantaneous fame, divorced from hard work, dedication, and sincerity. 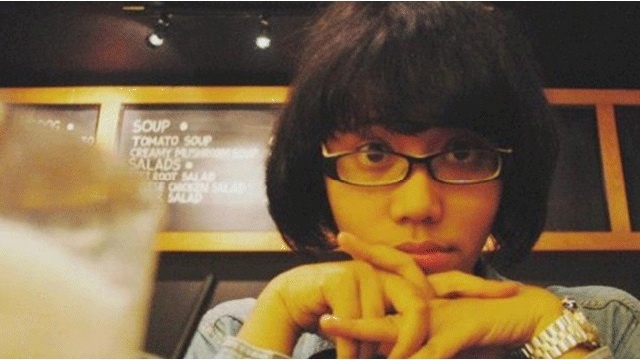 If I were to admonish BBDO-Guerrero, however, I would like them to become familiar with a recent tragic story of Mita Diran, a young copywriter from Young & Rubicam Indonesia. Because in the field of copywriting, she died trying. N. Mark Castro is the Southeast Asia Director of JUMP DIGITAL Asia, which is an internationally-awarded and fully integrated digital marketing agency with 5 out of 10 offices in the ASEAN region. He is also the Secretary General of the Philippine Business Club Indonesia, managing and assisting the traffic of investments between the Philippines and Indonesia. He shuttles between Indonesia, Philippines, Myanmar, Singapore, Cambodia, and Australia. The views posted here are his own and do not in any way reflect the views of the companies he represents. Posted on December 22, 2013, in General and tagged BBDO-Guerrero, Mita Diran, Pantene ad, Philippine plagiarism, whip it. Bookmark the permalink. 24 Comments. I don’t believe the incident defines the nation. From our elections, corruption, grand scale theft, abuse of power, politicians, justice system that can be bought, even media that concern nothing but ratings, swayed poll system … of course the 100 million people are not necessarily a cheat but our society has been skewed to adapt to attaining glory rather than dedication to hard work. The post is but a mere reflection of where we are now and not a direct accusation of who we are and what we can be. Millions of Filipinos are out in the world working hard to provide for their families, so those who are in the country struggling to find meaning despite the state we are in. Thank you for visiting and Merry Christmas. May the New Year brings us a better opportunity to come together not in times of tragedy alone but in our everyday lives. Still doesn’t define the nation. I agree that we have to look back at ourselves and review the lack of integrity among many people, and their tendency to plagiarize other people’s works. In a sense, we have allowed this to happen, with our tendency to easily ‘forgive’ and forget many sins of public and private personae. However, I do wish to correct a long running misinformation about the DOT “Pilipinas Kay Ganda”. Although they people behind it did get their inspiration from the Polish campaign, what most people have forgotten is that the Polish people got their inspiration from the DOT “Islands Philippines” (circa 1988). Let’s us stop this forgive and forget attitude, as we fail our own people by dismissing the past and repeating the same or worse mistakes. I read this post. On the Pantene ad, the only common element is the song used. And if they used it without permission or paying royalties, that’s wrong. But that’s where it ends. The two concepts are totally different. And the last line is in such distaste I can’t believe it. yes. I agree too. Pantene uses a different concept. It should not be equated as plagiarism. That is very unfair. Besides, the ads also paid royalties to the original owner of the song, and therefore, its use and interpretation is not only legal but licit. Besides, are there any other projects on Feminism and Gender that portrayed as powerful as Panthene’s? This commercial was a success in conveying an advocacy so subtly relayed to televiewers without inciting ill-feelings on the opposite gender. The headline’s sweeping generalization insults the hard-up Filipino taxi driver and janitor who chose to return a fortune. The traffic cop who refuses a bribe. The politician untainted by any scam. 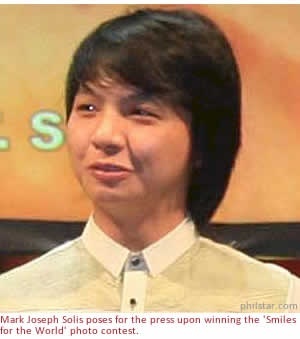 The OFW who rose to the top through hard and honest work… I could go on and on just to illustrate that, hey, we often shoot ourselves in the foot but, man, we have much to be proud of as well. If the title is offensive, let them be offended by the very actions of the people that govern, by the very insolence of the powerful, by the apathy of those that dictate the economy, by those that steal the ballots. And to the Filipina women pegged by this ad when we are one of the first nation on earth that elected women in the presidency, in senate, in congress, and in business sectors. The nation leans heavily on the matriarchial structure of the Church, promoting the Virgin Mary more than in any Catholic countries. That, too, is insulting to depicted as a lesser gender biased by the representation of this ad. We shoot ourselves in the head. Our nation is globally represented by the disarray of our government and not by the heroic actions of our citizens. For every honest cab driver you mention, you have a hundred more that contract services, provide practically highway robbery. For every hardworkig Juan in our midst, they are overshadowed by unscrupulous businessmen. And for every honest politician you name, you have an entire country indignant about their collective performance and arrogance. Let the title be as offensive as it can be … so that everyone can be angry enough to demand better governance — whether political or social or economical, until it finds the right platform, until it finds the right voice. My, how bitter you’ve become. But here’s an insight: there are many Filipinos who are proud of their country; who realize that, like every society, ours has its fair share of dishonesty yet it does not define us. Indeed, your title is offensive. And contrary to what you had hoped, it doesn’t make me ‘angry enough to demand better governance’. It makes me sad to see a countryman consumed by cynicism exhausting his passion to insist that we are no good. In that sense, it has failed. Hence, you deserve the government you have … And the ad that has no depth in representing the Filipino women. Low blow at the end. Do you want us to do the same and overwork ourselves until we die? 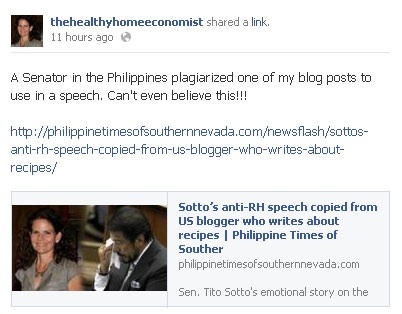 See, I hate plagiarists, I don’t know if any of my works have been plagiarized but I seriously hate it. You don’t have to use the dead to make a point because just outing the people is enough. That’s more than what those behind the ad had done. Finding work-life balance has been proven to be the most effective way to enhance productivity, and her youthful desire to prove herself had become a tragic case but a reminder that someone so young had given so much for the profession. Do we not do that with Ninoy? With Rizal? To drive home a point? Even that whose birth we are to celebrate yet again? Sadly, it’s giving us all an advance notice….scarcity of writers-creative minds of creating a story with heart that will give depth to strike through their audience emotions. Missing out in keeping up with the fast lane…. spending much of time money and energy, not wise. Asking a consumer of what they think after watching the ad? will I buy the product? am I empowered as a woman? I agree that we are starting to become a nation of cheats. As a writer myself, I find plagiarists lazy, and lacking in ideas. Period. Sir, you might want to include this on your long list of examples of plagiarism. then eventually admitted again, but not without Maria Ressa lashing back. What is our nation coming to? Ask Cezar … He thinks the country is all right. 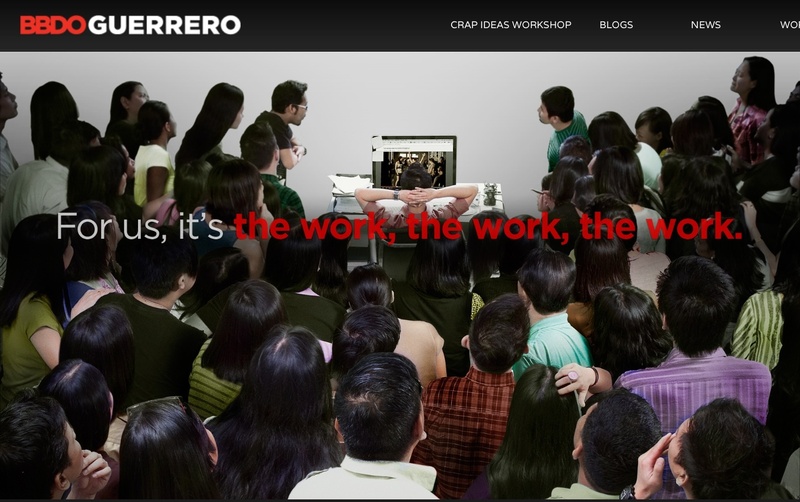 Pingback: How to get the best ORIGINAL – not the best COPIED – work from your ad agency | CHUBIBO! You know how this works. You send your email, your password, and bank account numbers. Then I have fun. Maybe not today, maybe not tomorrow...but soon! And for the rest of your life. It's what it says! Nonsenses! By a hypocrite.